Guidelines for the Maintenance of Commercial Gym Equipment! When you buy fitness equipment from renowned manufacturers, they might cost you a bit more. However, you can be assured of getting best quality gym machines that are durable and come with a warranty which reduces the cost of repair and replacement in the long run. Always stick to the manufacturer’s maintenance recommendations. Make sure that all the essential documents are easily available to the staff and technicians. Perform regular cleaning of the equipment. For instance, the longevity of the belt and deck of a treadmill can be improved by performing a vacuuming under its motor cover. Remove dust, sweat, and dirt from the equipment’s upholstery and electric wires. While cleaning the equipment, make sure to use an antibacterial cleaner. Do not use ammonia, bleach, or acid-based cleaners. Every fitness centre should follow a preventive maintenance routine. It will help in identifying the problems before they occur such as worn cables or loose bolts and avoid risks that could lead to injuries. This practice will also extend the life of the equipment and save money in the future. The moving parts of resistance machines must be lubricated on a monthly basis. Few cardiovascular machines such as treadmills are self-lubricating. Check the oil reservoirs and fill them according to the manufacturers’ instructions. Strength equipment such as weight benches requires a periodic visual and physical inspection. Consider performing routine checkup of all moving parts, cabling, and pulleys that have a tendency to become loose. If a machine is out of order for a prolonged duration, it can have a drastic impact on your membership retention. Therefore, to ensure a smooth operation of the gym, your equipment requires regular maintenance, service, and repairs. 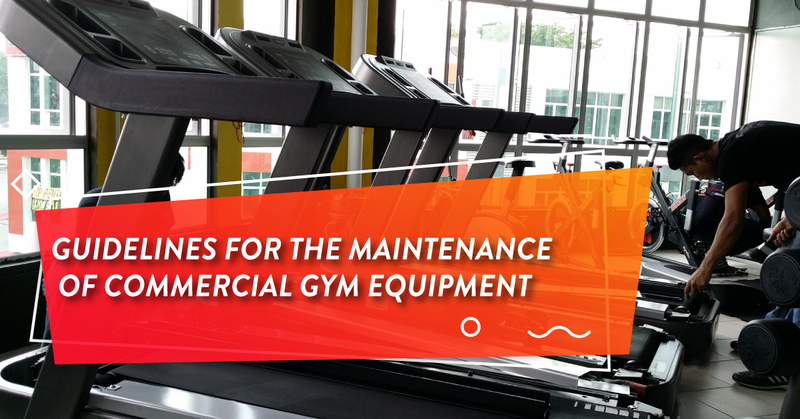 It is better to invest in a service contract for gym maintenance as most equipment’s warranty is dependent upon proper servicing and maintenance. Fitness World provides Annual Maintenance Contracts (AMC) to commercial gym equipment buyers to help gym owners handle the maintenance issues post setup. Call our toll-free number 1800 123 5711 to know more.